Select an option 14" & 15" 14" & 16" 14" & 17" 14" & 18" 15" & 16" 15" & 17" 15" & 18" 15" & 19" 15" & 20" 16" & 17" 16" & 18" 16" & 19" 16" & 20" 17" & 18" 17" & 19" 17" & 20" 18" & 19" 18" & 20" 18" & 21"
This minimalist pearl drop necklace set features a freshwater pearl drop necklace along with a dainty simple chain. 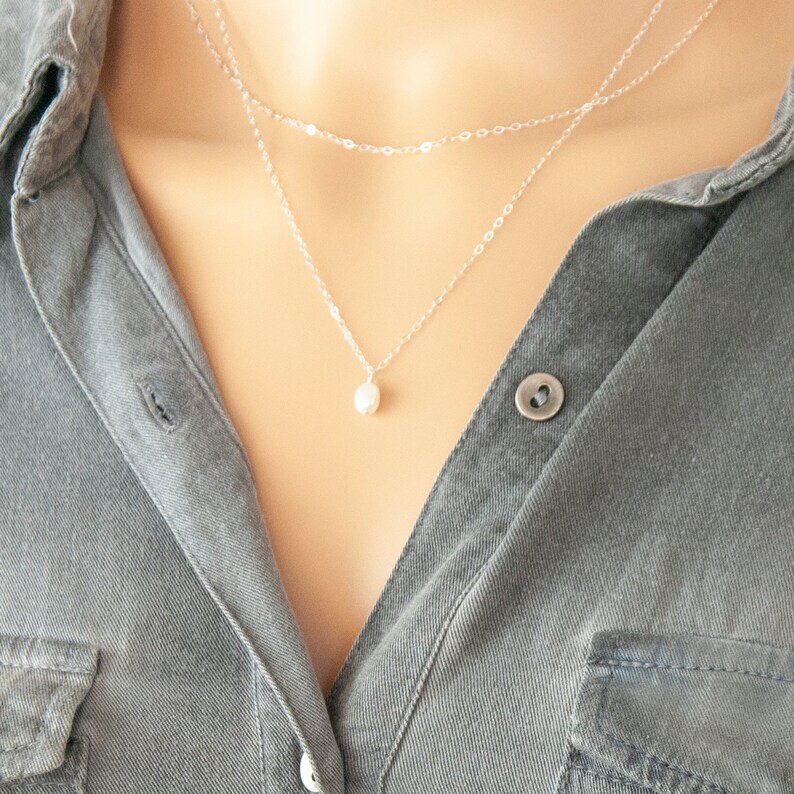 Wear each piece separately or together as a layered set. Looks great when dressing up or dressing down. 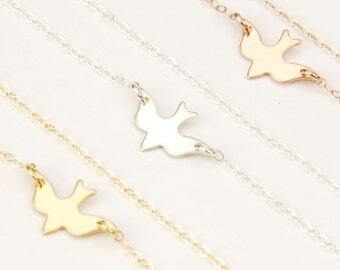 ►Dainty Chain available in Sterling Silver, 14k Gold Filled and 14K Rose Gold Filled. MODEL LENGTH: 16" & 18"
This necklace is measured opened from end to end. Items will be individually wrapped in a cute gift box. All items are made to order. Our production time is 3 to 5 business days. Shipping times do NOT include production times. Shipping times take 4 to 6 business days, longer during holidays. International shipping can take from 2 to 4 weeks and longer during holidays. Customs can hold your package from 5 days to 3 weeks. the customer's expectations each and every time they visit our store. Love it! Same delicacy as the bracelet and and choker horizontally placed. As described. Very delicate and elegant pairing well with the choker.